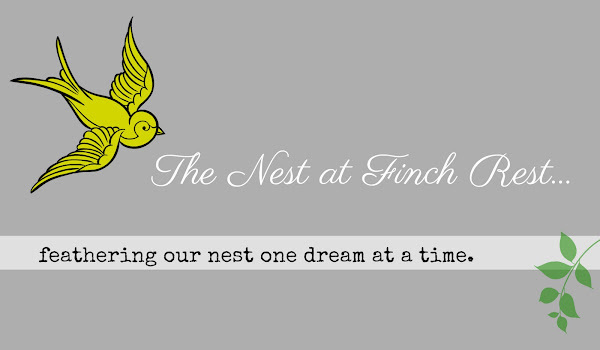 The Nest at Finch Rest: Shower for Baby Bug ♥ GOOD News! Shower for Baby Bug ♥ GOOD News! Have I happy fun news for you all! to share our blessed and joyous news with you all! I am going to become a GRANDMA!!!! We are all soooo excited about this! 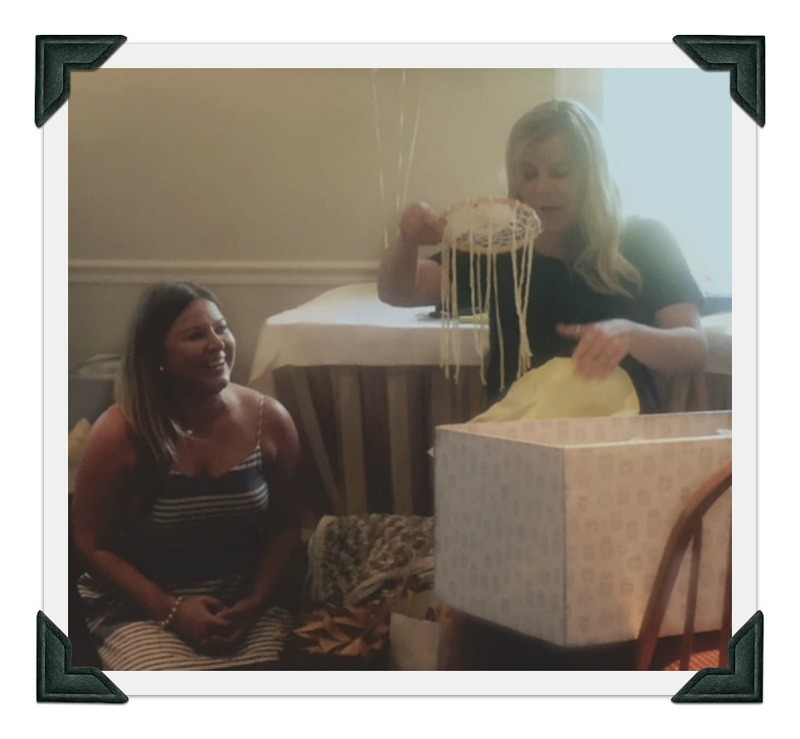 And of course we had to have a baby shower, right? a few weeks ago with my eldest daughter Evelyn. So......what's up with the "Baby Bug" you may be asking? It was fun to give Katie a bug themed summer baby shower! and designed/made all of the awesome paper products. 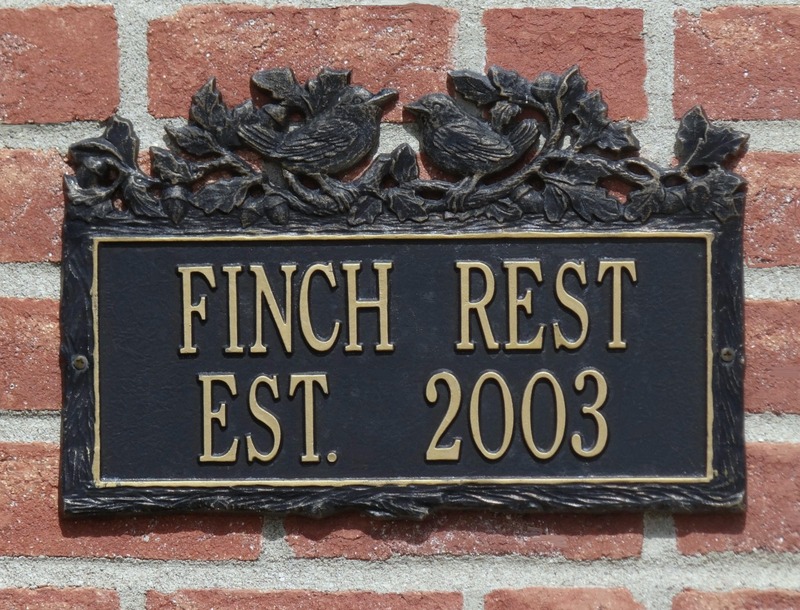 a place near and dear to our hearts. Katie wanted it no where but there! They do such a good job and take the worry out of everything! We did an earthy garden-y fresh and simple decor theme. son-in-law Jeff cut from a tree from his old property. all taken with my phone and all too back lit. better than not having any at all I guess. The party was so much brighter and prettier than these pics show. of sandwiches, salads, breads and fruit. and clipped them onto the napkins. containing Hershey's Kisses and candy worms and bugs. and tied with a green and white bakers string. 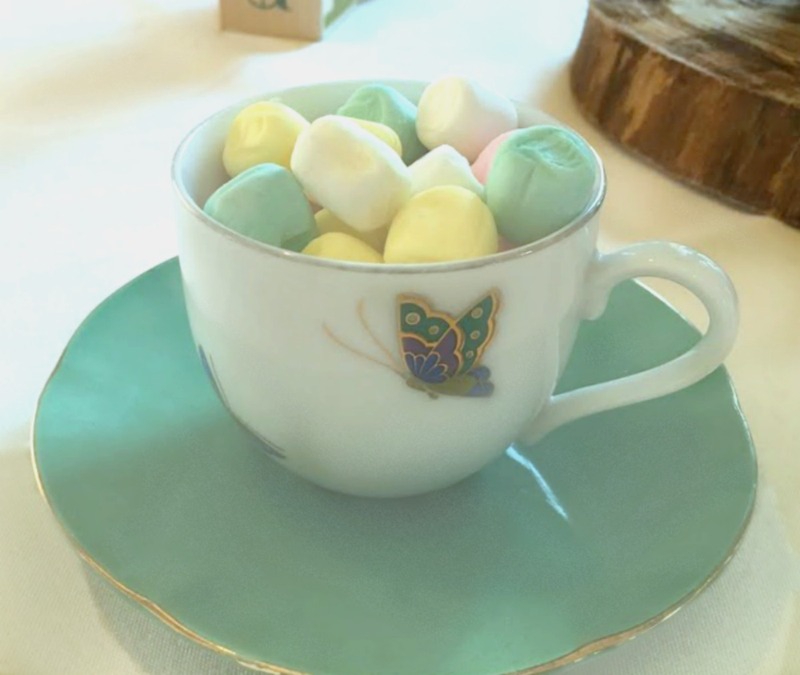 I put pillow party mints in butterfly demitasse teacups on each table. natural and unfussy in extra-tall vintage Ball canning jars. for each guest to color - a different one for each - and it was encouraged to jot down a little message for the baby/Katie/Jeff on it. Mommy-to-be wants to bind them all in a little book for baby. one was a fun nursery rhyme fill-in-the-blank game. The prizes were White Barn Candle Company candles. BTW- WBCC at Bath and Body Works in here in Columbus. Les Wexner who owns Limited Brands lives in New Albany - 20 minutes from here. and had a wonderful raspberry buttercream layer. Their baker did an amazing job surprising us with this design! 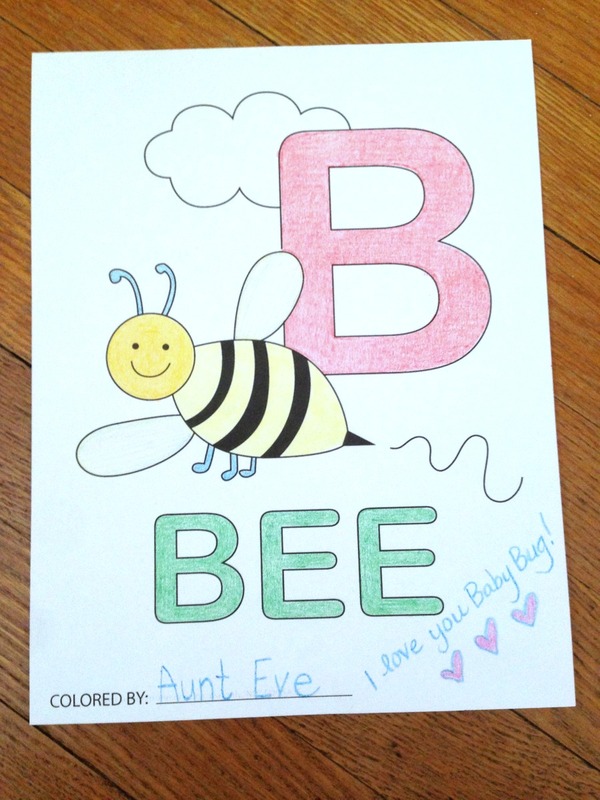 to help welcome sweet wee little Baby Bug! What a joyous celebration and special, fun day this was! Katie's sister did a great job with all the work involved. She was so helpful, sweet and attentive. "My Aunt is Cooler Than Your Aunt!" and found info on Finnish Baby Boxes and ordered one for her sister - filled to the brim with homemade and essential items. You can learn all about these really neat boxes here. is in the forefront on right. Katie is pretty much ready so it won't be long now. but we'd be surprised if she goes that long. but we will be ready, regardless! so at birthtime it will be a big surprise to us all! We discussed it - I never met my grandmothers - and my own sweet mamma passed soooo long ago and Katie just adored her....so, out of memory of my mom, and loving her name - I am happily going to simply be "Grandma!" : - ) Jeff's mom wanted Mamaw - and that's not me. I seriously considered Grandmother but Katie laughed. Nope, Grandma, pure and simple. YAY! Dreams coming true here! Oh how exciting, I am thrilled for you. This looks like such a fun shower. Congratulations!!!!! Michelle that is fantastic news, congratulations to you all. Exciting times, a beautiful baby to cherish. My Grandchildren call be Granny, which gives me great pleasure they are indeed a gift from God. Once again congratulations. Oh Michelle, how wonderful. Congratulations - you are going to be such a wonderful grandma. The shower looks amazing and I know everyone had a wonderful time. All the decorations were perfect. So enjoy your new little bundle of joy soon to arrive. Looking forward to seeing baby pictures. Congratulations to you all! And what a fun nickname...and makes for a novel and charming shower theme! A happy time for you Michelle...so glad! Congratulations! I am sure you will make a wonderful grandma. I love the shower theme...so cute. Look forward to seeing some pics of Baby Bug! What fun! Congratulations on being a grandmother! Everything looks so nice. I love those blocks! And, oh that cake looks yummy! You have so much happiness ahead! There you are! I was just thinking of you this morning and wanted to pop in and check on you but got a little distracted by my grandkiddies! Oh, congratulations on little Baby Bug! The shower was absolutely adorable in every detail. Your daughters, beautiful. I pray for a safe delivery and healthy baby and it sounds like it will be soon! Yes, yes! I want to see your dollhouse! Congratulations, Michele!!! This is so exciting! Can't wait to meet the newest addition to your family. 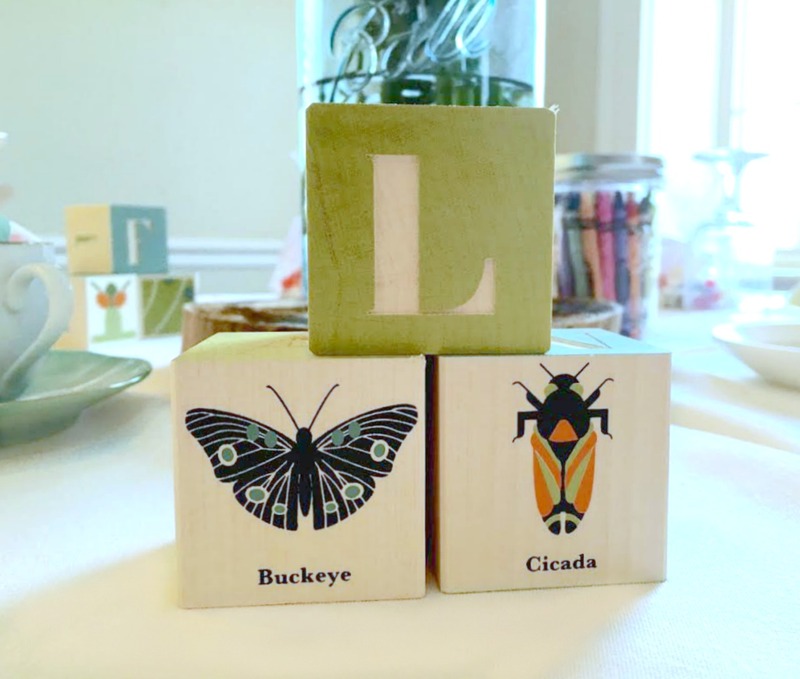 The bug-themed baby shower is absolutely delightful. How clever of Evelyn to order the maternity box for Katie. The baby box program was introduced in Ontario this past spring. Such fun - everything is delightfully buggy. What a clever idea. Love all the little details and love that went into the shower. And just wait a little bit now - you are in for the best fun of your life!!!! Congratulations!!! I am so happy for y'all...can't wait to hear all about the new arrival, smiles. Have a joyful weekend, friend. Big Congratulatioins to all! Love the theme of the shower and the cute accents. You missed my last two posts which were about the showers we had for our son and his wife. I'm going to be a grandma too in September! Blessings to all for this momentous day that will soon be here! CONGRATULATIONS to all of you. You will not believe how much fun this new addition will be. No one can explain the feeling of that first grandchild either. So so so happy for you. What an amazing day and you will be the BEST GRANDMA EVER!!!!!!!!!!!!!! Oh how exciting for you Grandma, congratulations. And you also get the bonus of being surprised. I can't wait to be a Grandma also. Hello sweet Michelle, I've been missing you! Congrats to your kids and to the happy new Grandma for the upcoming of 'surprise baby' too. The baby shower looks like it was lovely and fun. Much blessings to the mother to be, you and all the family. Happy 4th. of July too. Oh, I almost forgot to mention that what you're about to experience as a grandma will never compare to 'almost' any joy before; it's a UNIQUE experience. CONGRATS AGAUN! Congratulations Michele, joining the "Grandma Club". It is wonderful, you never think you can love anyone more than your children, until you have Grandchildren! God Bless, and I can't wait to hear the gender! What exciting news you've shared, Michele! Congratulations to Katie and Jeff and you, also. You're going to love being a grandma, as it is the best! How fabulous to have the shower in the Old Worthington Inn. The invitations were just precious and your butterfly clothespins were adorable. I know you can't wait to meet Baby Bug in person!! I am in Columbus, but have spent all my time with my mom for her 87th birthday. Hopefully one day we can meet up, but right now I felt like I needed to be with her. Love and hugs to you! Congratulations, Grandma!!! So excited for you! And what a fabulous baby shower. Blessings to the new parents and their expected baby! Hugs to you too! Congratulations Michelle! Your daughters are as beautiful as you and with the sweetest smiles. What an amazing shower every little detail was just perfect. That cake looked and sounded delicious. Praying for the safe arrival of your little "Baby Bug"
Congratulations Michele, you will love being a Grandma. The shower looked awesome and I love the 'baby bug' theme. Michele, Thanks for sharing your exciting news! Congratulations on being a Grandma ♥ The baby shower was just beautiful and I loved the theme of the party, "Baby Bug". I'm looking forward to hearing about the new baby!! Congratulations. 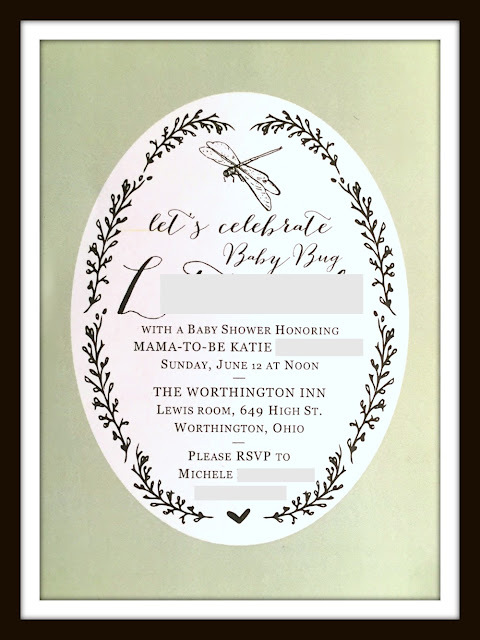 What a darling shower theme! I bet you can't wait for the little bug to get here. Indeed wonderful news. I'm so happy for you. The shower looks lovely with all your touches. I hope delivery goes well and that you enjoy every moment with your little one! Congratulations Michelle! I am so happy for you and your family, you must be so excited. 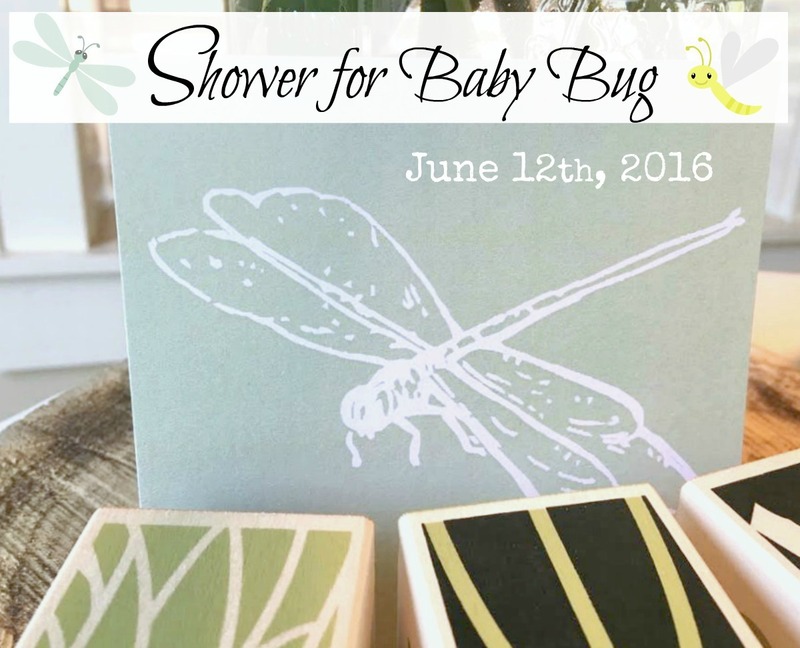 Love the little bug theme for the shower. 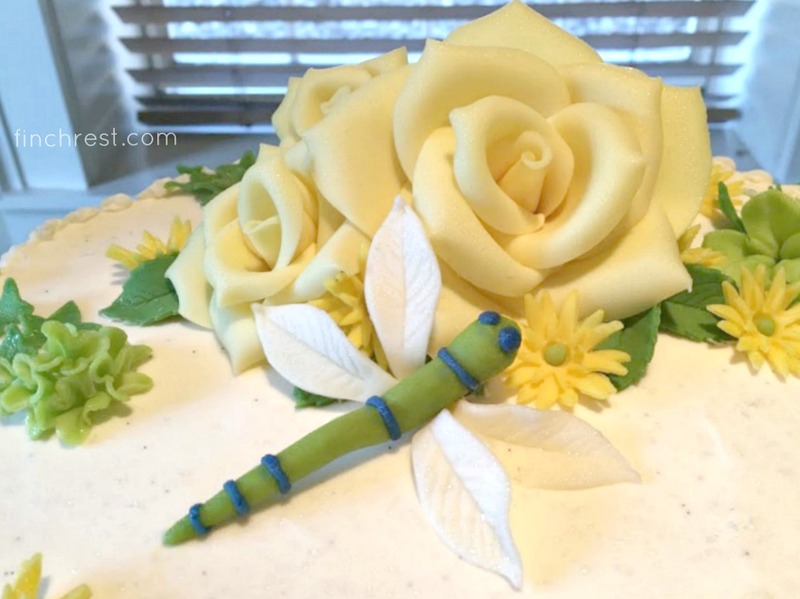 Beautiful cake and flowers, I'm sure you were thrilled with how lovely it turned out. Congratulations! Being called grandma is just the best name! Lovely shower, too! Wow, you are going to be a grandma! Speaking from experience, it's absolutely the best thing ever! Congratulations! Love the whole bug moniker. My daughter's "nickname" was *bug* from the day she was born, and 35 years later, I still call her that. I am so happy for you and your family. 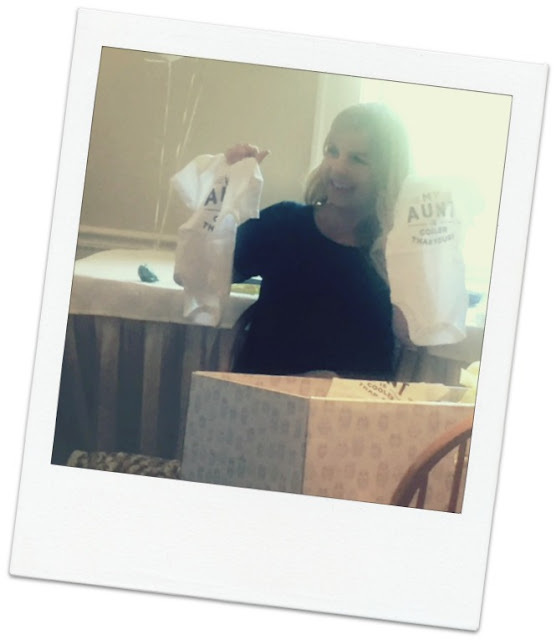 Becoming a Grandma…how exciting for you Michele! 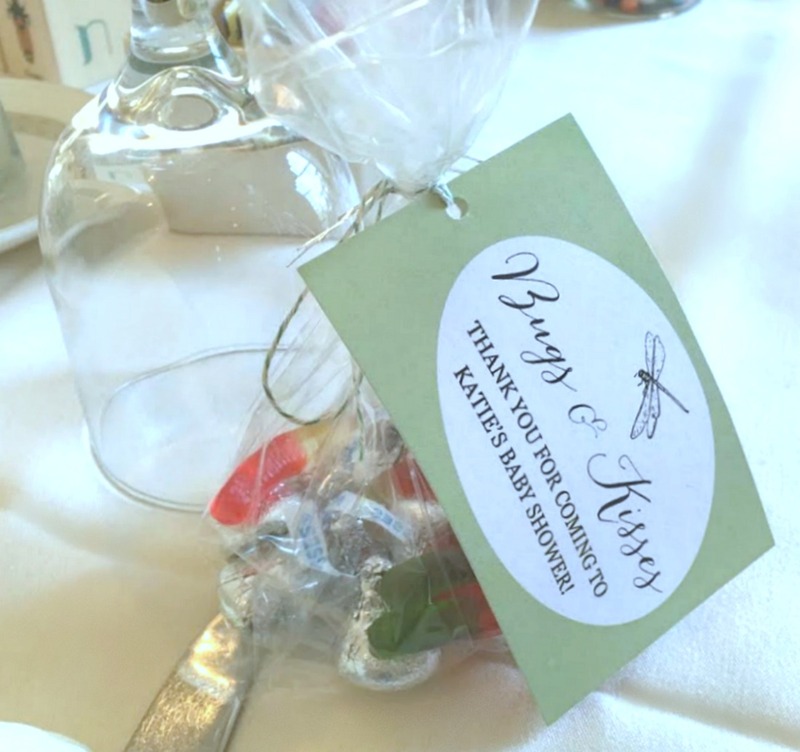 The shower looks like it was lovely full of wonderful personal touches… Love the cake design too. Congratulations! Oh Michele what WONDERFUL news! What a special time and truly it looks like a wonderful day. I can't wait to hear more. Have a wonderful holiday weekend. What a special event in your family! The shower looks as though it was a great success and both of your girls look like they're having a blast! There's nothing like being a grandparent...you think you can't love anyone more than your kids but I think God gives us another heart when the grands arrive. Eve did such a beautiful job on the decor and I know the food was awesome! I can't wait for each of you to meet this baby bug! Ohhhhh, Michele, congratulations! To quote Melanie in Gone With the Wind, "The happiest days are when babies come!" Your girls are beautiful (like their mom), so I can just imagine how adorable this sweet little bug or bugette is going to be. Love this unique theme for a baby shower and how personalizd it all was. Lovely, lovely, lovely! Now I cannot wait to hear that the little one has arrived! CONGRATULATIONS GRAMMA!!!!!!! How perfectly wonderful! I'm so excited with you. You will have such fun. What fabulous news. So happy for you, Michelle. Congratulations, Grandmother to be! Adorable shower. Cute as a bug in a rug. What wonderful news! So excited for you Michele! Great news! congratulations, Michelle. Cute baby shower! Exciting news! 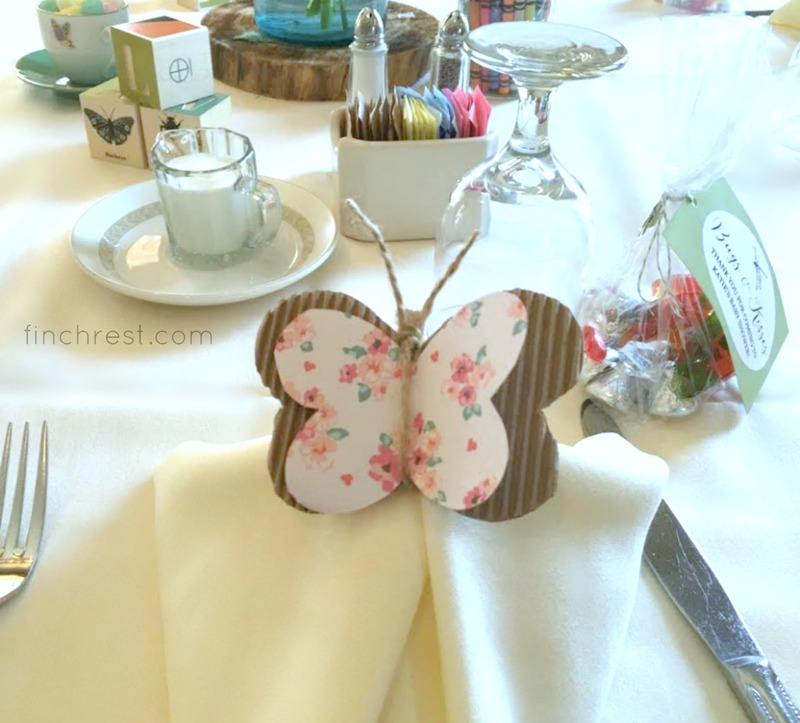 What a cute baby shower theme! Michele, congratulations to your daughter and your whole family! Baby Bug - how cute! And I love the shower theme - it all looked amazing, especially that cake (love your teacups with mints too). I can already tell how much fun your life is going to be, just in this one celebration! Keep us posted, please. 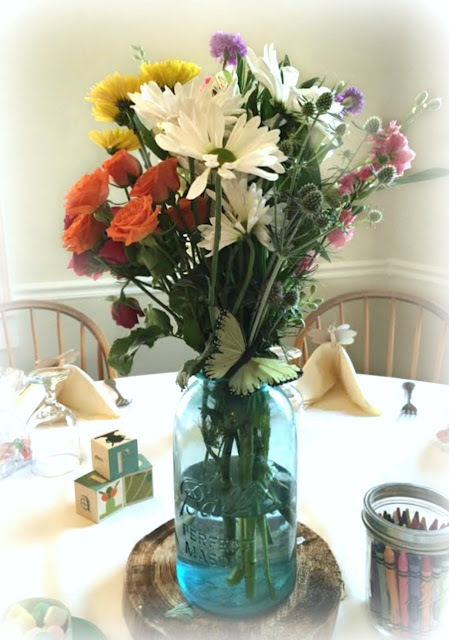 What a darling theme for the baby shower, Michele! I'm thrilled you're about to become a grandma! Next to having your own, it's the best thing ever. Congratulations and thank you for sharing. The cake is absolutely adorable! Have a lovely weekend. The baby shower was adorable. I just love the Baby Bug theme. Absolutely awesome shower theme....LOVE IT!!! So happy for you...and of course, your daughter. ;-) I just know there's nothing like being a Nannie. We have four and love them all dearly! Thanks for such a sweet comment my yesterday's post....and thank you so much for your precious prayers. Congratulations! I know you must be so excited. I love the theme for the shower and the story behind it. 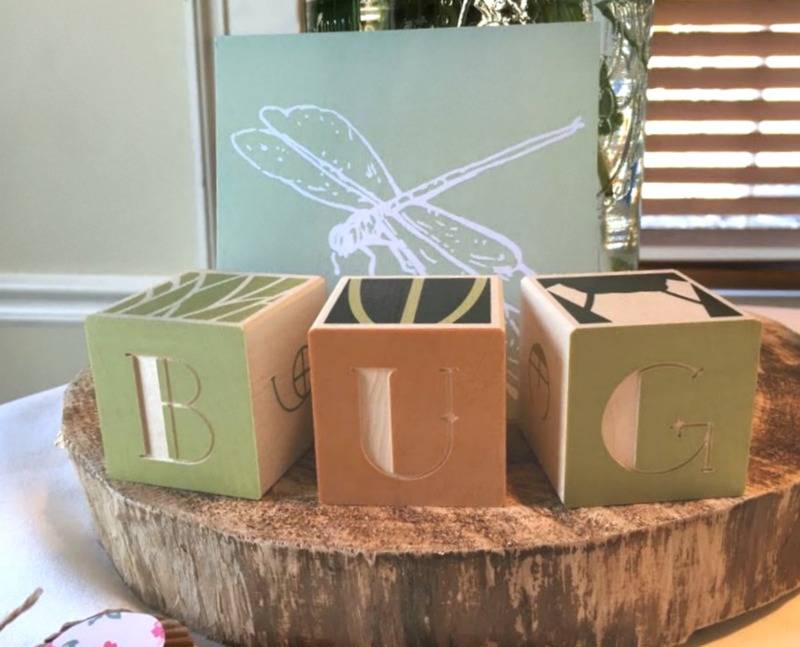 If she has a boy, a bug themed nursery would be cute. Loved the cake! My heart is full of joy for you and your family. This is the greatest joy of all. I love being "Grandmom". My grandson will soon be eighteen, and I adore him. I am pretty good in Photoshop. Let me know if you want any help brightening some of your photos. Just e-mail me the file. How exciting, Michele!! The shower was beautiful...such a cute theme! The bond between your daughters is wonderful. I love seeing sisters who love each other like that! So happy for you all! MIchele, that is the most gorgeous baby shower I've ever seen! And what an exciting time for you all. Lucky Bug, to have such a wonderful grandmother! Precious, Michele - so delighted for you! I look forward to being a grandma! That was a beautiful baby shower put on by you and your daughter. I tried checking into one of those Maternity boxes from your link and am I understanding it correct that you have to live in Finland? If not how did your daughter go about getting one for her sister in the U.S.? Those are the neatest gift I have ever seen. Once again, Congratulations Grammie! WELCOME to the World, Baby Bug!